Controversial perfume advertising campaigns – are they worth using? We hear from time to time about advertisements that have caused a scandal. 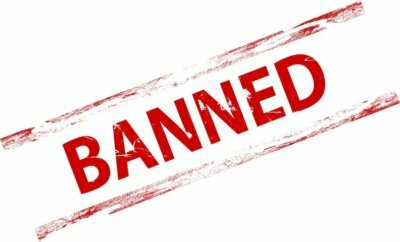 There is even a popular phrase – “banned advertisements” – referring to campaigns that were suspended or raised a storm of emotions. By all means, not all of the scandalising advertisements were slip-ups. So why do companies decide to promote their products in such a way? Was the greatest outrage in the history of perfume advertising campaigns caused by advertising posters, billboards, or rather TV spots? What were the goals and effects of these campaigns? In the history of products it is hard to find a product that was advertised and did not happen to be promoted in a rebellious manner. However, it should be emphasised that controversies should not only raise negative connotations. Controversial, stirring emotions and stimulating conversation can by all means be positive. 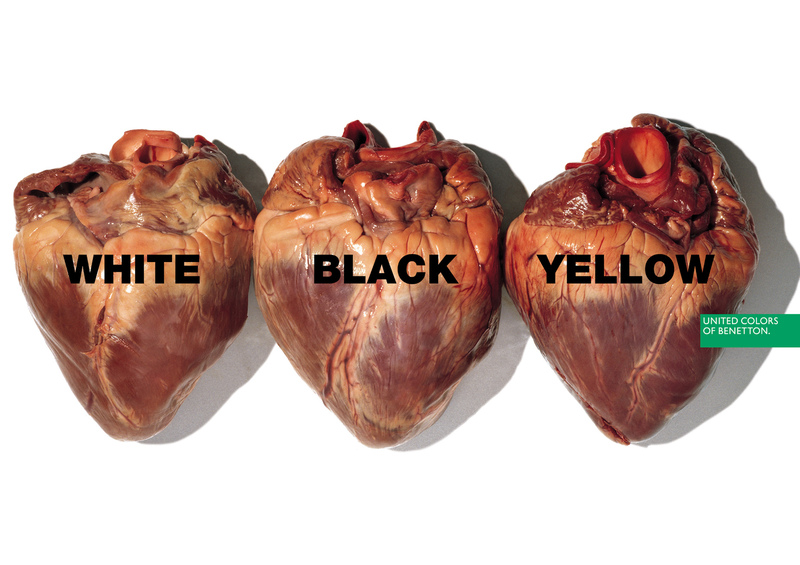 The United Colors of Benetton promoted itself once with a photo presenting three human hearts captioned “white”, “black” and “yellow”. The advertisement raised high, but very positive, emotions. In a crude way, it just showed that we are all equal. All advertisements are governed by the law of the states in which they are published. However, what if an advertisement breaks no law, but raises a lot of emotions in the eyes of society? One of the most important institutions dealing in analysing and pronouncing opinions on advertisements is the British Advertising Standards Authority. It is a non-governmental entity, with no direct influence on changing or suspending publications of advertisements. The evaluations of this entity are, however, highly respected and often taken into account by advertisers. The perfume industry also used controversy in the past. In the old days, the producers were limited to small press ads, advertising posters and the first billboards. After that, TV entered the game, and it had many non-standard spots promoting perfumes in its history. Many controversies associated with perfume advertisements were based on sexualisation of the image of models. One of the most famous campaigns of this type was created by Tom Ford. They presented the private parts of the female body covered with just a small perfume bottle. However, such actions are extreme. Controversy is usually not the only a way to gain publicity, but also to emphasise the high quality of a product in an unconventional way. What is the goal of such campaigns? The goals of advertising campaigns can be highly diverse. Sometimes the spots that raised a lot of controversy were not aimed at that, they were just a result of trends followed by the advertising agency. However, these cases are becoming increasingly rare, as the campaigns of major concerns are handled by experienced agencies or entire company departments, which analyse each image, poster and video deeply, before they see the light of day. Shockvertising or shock advertising is a popular marketing activity. It is very risky, but since it rivets the attention of the viewers and the media, it is popular in use. The effect of such advertisements is short, but strong. Brands make long-term decisions regarding them, shaping the comprehensive image of the company in a precise manner, planned in advance. A one-time use of such advertising for a random product can have a different result to the intended one. 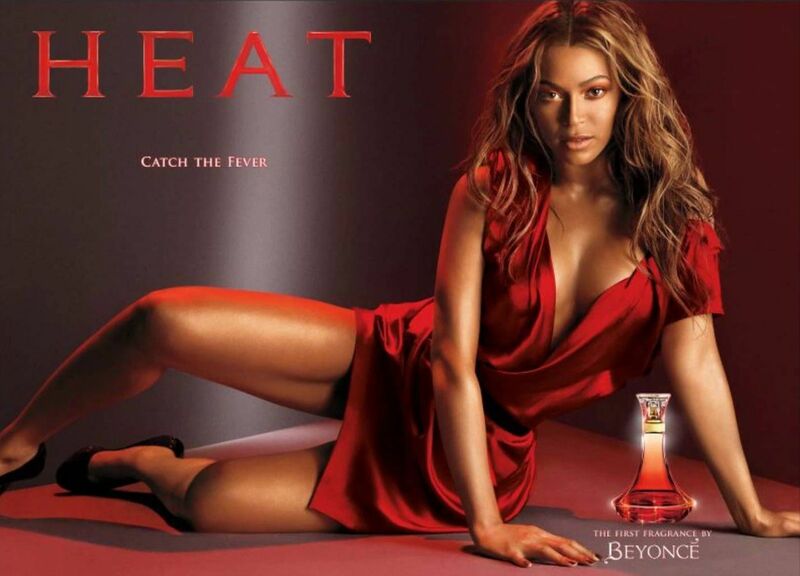 One of the examples of controversial advertising campaigns are the billboards and video spots of the Heat perfume promoted by the singer Beyoncé. A spot from this campaign was taken off the air, but the producer of the perfume – Coty – presented its arguments and managed to fight out its publication in the evening hours. However, it should be noted that Heat turned out to be a great product and it quickly achieved success on the market. Another example is the apparently harmless advertisement of the Oh, Lola! perfume. The Advertising Standards Authority, however, indicated many improprieties in the presentation of this product. The actress Dakota Fanning seen in the poster was in their opinion meant to provoke unambiguous associations. Although Dakota was 17 years old when the photo was taken, she looked as if she was much younger in the opinion of the ASA. The Calvin Klein perfume advertisement was on the other hand criticised for having shown too many fragments of the body of the actress Eva Mendes. The film star wriggles in a bed sheet in a black & white advertising spot, concealing the most private parts of her body. The spot was declared as excessively bold and taken off the air, and then it was restored in a censored version. Interestingly, this was not the last controversial advertisement of CK perfumes with Mendes in the leading role, which proves that it had the result that was expected by the producers. On the other hand, the brand Unforgivable Woman created by the rapper Sean Combs had to face a really large wave of criticism from the viewers. Many improprieties were found in the advertising videos and posters, related to the presentation of the characters in a “loving embrace”. Regardless of the opposition, Combs has not given up on publications of the advertisements in the media. Only available in its full version online, the advertisement for Kenzo perfumes is not exceptionally scandalising. However, it is hard not to notice its extraordinary way of attracting attention and provoking discussion. It is an example of a solution for the issue of promoting perfumes, which very often refer to love and passion, and much less often act on other feelings. In the advertisement a young girl cannot stand the mood of a well-mannered banquet and decides to leave the hall. For almost 4 minutes, we are watching an elegantly dressed actress in a frenetic dance. Adverse effects of controversial advertising campaigns include: discouragement of the recipient, affront to the feelings of the customer, causing inconsistency in the perception of the company by the consumer, who previously viewed the producer in a positive manner. The positive effect is quick and clear presentation of the image of the brand. In addition, scandalous advertising attracts attention and interest, so it avoids the greatest mistake of paid forms of promotion, which is remaining indifferent to the recipient. In addition, if a campaign permeates to the media as a news topic, it is provided with increased reach and air time, which would be very difficult to achieve with relatively low expenditures. One of the best examples of achieving success by means of using shock advertising was the result of the aforementioned HEAT perfumes. Within just a month Coty earned as much as 3 million dollars on sales, proving that it was not mistaken in its promotional plans. The achievement of such a result was not even hindered by the temporary suspension of the advertisement, nor by the shift of its air time to the evening hours. Each producer of perfumes should, however, think carefully about whether using controversial advertising in a particular case is reasonable, and whether it does not present a threat to the previously developed image of the company. The trying out of such a strategy is safest in the case of the introduction of a new product, which will be presented in the new role from the beginning to the end, in a precisely planned and considered manner.